Volume 11, No. 2, Fall 2004. Shannon R. Wooden: I loved Larabi's Ox and was particularly impressed by the way that it stages human drama on the backdrop of ongoing political and cultural drama. In the burgeoning friendship between Ahmed Ousaid and Henry Goodson, Ahmed's love for Henry is quite naturally complicated by his distaste for maybe more typical "American" political attitudes. The controversial attention the American characters pay to the mosques also creates considerable tension in the book. Do you see your book as participating in political or cultural conversations? Tony Ardizzone: Of course I'd like my books to participate in political conversations, but that really wasn't my intention when I wrote the fourteen stories that make up Larabi's Ox. My intention was to imaginatively explore a foreign place that genuinely captivated me when I first visited it. So I thought of bringing to Morocco three American characters who could make their separate ways from a shared event -- the senseless death of an ox -- and explore three different regions of the country. I allowed the character of Peter Corvino to focus on Rabat and visit nearby Casablanca, the character of Henry Goodson to head for the Atlas Mountains and Ouarzazate and the Sahara with his Berber friend and guide Ahmed Ousaid, and the character of Sarah Rosen to explore Fez and, with Rosemary Miller's aid, Marrakesh. On a larger level I wanted to write stories about the intersections between U.S. and Moroccan cultures, but my initial concern was to explore place. But does the book actually participate in any sort of political conversation? I'm sad to say that I honestly don't think it does. Despite its earning a handful of awards along with a generous introduction by Gloria Naylor and equally generous national reviews, the book did not go beyond its initial printing and as a result has been out of print for years. I'm guessing that not too many Americans are interested in reading about the Arab world, or Islam, or a particular vision of Morocco that's less sensationalistic than the one offered to Western readers by writers such as Paul Bowles. Since I didn't set out to write a book of essays, at best what you pose was a secondary concern. I did hope that my stories would fairly represent both sides of a "cultural conversation," which has no easy answers and is rife with misconceptions on both sides, but I can't ever really say that I had that in the forefront of my mind or as a purpose or goal. My focus was on character and place. Whatever else came out of that focus was secondary to me. I do think the stories involving Henry and Ahmed most closely explore some of the concerns you're mentioning, though both Sarah and Peter certainly become engaged in situations that also portray these schisms and misconceptions. Wooden: To what extent do you write with the sense of educating readers? Specifically, after reading Larabi's Ox, I wonder what you think American readers need to know about North Africa, Morocco, or the Arab world in general, but this extends to many of your other works as well. Ardizzone: I've always enjoyed the fact that fiction can be about things and take on particular subject matters and carry within its story lines factual information. The factual information I tried to carry into Larabi's Ox was an accurate picture of Morocco during the late 1980s, during the reign of King Hassan II, when I twice lived and traveled there. I found the country absolutely engaging and absorbing. I felt myself compelled to portray it through words and story. The place really brought out the naturalist writer in me. And I'm glad to have done that because now my Moroccan friends tell me that some of the things my book describes no longer exist or, should I say, exist now only in my stories. One of the U.S. reviews of Larabi's Ox called the background of Morocco the book's "fourth character," much to the delight of the Moroccans who've read my book, who see Morocco as strong as if not stronger a character than the three principle Western characters I created: Peter, Sarah, and Henry. Wooden: Taking It Home, set in Chicago, may seem like less of a cultural text than some of your other books, but in this collection and In the Garden of Papa Santuzzu alike, you reveal some amazingly difficult struggles experienced by individuals negotiating cultural change. In your opinion, what is risked, or what is lost when one culture assimilates into another? What identity issues do Italian Americans still face today? Ardizzone: These are difficult questions. I think my books answer them better than I ever possibly could. But to try: I think the price one pays for assimilation is extremely high. Certainly, family ties are irreparably broken. The new culture murders the old. I think there's little to be sentimental about here. The price that's paid is nothing short of a kind of death. The main social and political identity issues facing Italian Americans involve their ability, or inability, to tell their own stories as well as offer an accurate version of themselves and their history in the New World. This is as opposed to being subject to others telling their story or, in the case of the many organized crime narratives one finds today, seeing essentially one type, or version, of story continually rewarded and retold. As for the place of Italian Americans in the New World, few realize that Italians made up the largest numbers of European immigrants passing through Ellis Island, that Italian Americans soldiers were the largest ethnic group to serve in the second World War. Like the Japanese, tens of thousands of Italians and Italian Americans were arrested shortly after the U.S. entered the war. They saw their homes and property seized, and hundreds--some claim thousands--were placed in internment camps. In many communities, particularly on the West Coast, Italian Americans were made to carry identity cards, placed under strict curfews, and restricted as to where they could travel. The national campaigns against the people and cultures the U.S. fought during that war featured posters of a stern Uncle Sam s haming smaller caricatures of Hirohito, Mussolini, and Hitler, with the admonition: DON'T SPEAK THE ENEMY'S LANGUAGE. Of course the result was the suppression of these cultures and the silencing of their peoples. Wooden: I enjoyed many of the Taking It Home stories, but I found "Nonna" especially touching. What differences do you notice in the treatment of the elderly among the various (and assimilating) cultures that you discuss in your books? Ardizzone: I think the elderly woman in "Nonna" acts a bridge between the old country and its ways and the new. She also serves as a locus of memory, though in the story her memories tumble together and sometimes confuse her. In In the Garden of Papa Santuzzu the character Rosa Dolci acts as a sort of organizing narrator, opening and closing the novel, and briefly interrupting the cycle of stories with a pair of brief chapters each titled "Ceasura." That both are older characters is no accident. Age, in fiction, can equal greater access to experience. I'm learning this lesson as I grow older. Wooden: In Papa Santuzzu and in Larabi's Ox, twins play interesting narrative roles: in one book, (autistic?) twins are given an amazing and strange narration of their own, demonstrating a family's strengths and responsibilities; in the other, (again, disabled) twins catalyze a narrator's self-discovery. Is twinning a consistent metaphor system--I mean, do you see it as working similarly in different contexts? Ardizzone: I hadn't realized I'd used twins in both books until you asked this question. The twins in Larabi's Ox helped me to explore the common claim, voiced by a Frenchman in the book's second story, that all beggars were imposters and liars. The twins in In the Garden of Papa Santuzzu allowed me to write a chapter from a dual first-person narrative point of view. I'd always wanted to try my hand at that. There, as you know, the twins are empathic and complete each other's sentences, so stylistically I was able to create a viable form for that section of my book. I'd agree with you that in both instances it's a device that helps me explore various aspects of character. Twins in fiction are like rhyme in poetry, an offering to the reader of sameness but with a slight difference. Wooden: Why is magical realism especially attractive to you as a means of telling stories of cultural diaspora, like those in Papa Santuzzu? Ardizzone: I see magical realism as a way of restoring some of the range and flexibility to realism that Western society's privileging of technology takes away from it. I find it rather telling that a story in which characters converse over a cell phone or hack their way into a computer system is thought of as "realistic" whereas a story in which a character can see the thoughts of others is considered "magical." From a strictly realistic standpoint, there doesn't seem to me much difference believing in a character who sees auras, or in the appearance of a ghost, or in the case of Gabriel Garcia-Marquez, a character who levitates after drinking chocolate, than it is to believe in radio signals or bytes on a hard drive. In Chicago my mother has a lamp with a bulb that goes on when you touch the lamp's stem, brighter when you touch it a second time, then off when you touch it a third time. Shortly after my father's death some years ago the light would turn on occasionally whenever my mother walked into the room, without her being near it, and without it being touched. Of course my mother immediately credited my father and began talking to the lamp, or should I say talking to my father, saying things like, "I know, I know, you're still with me here, honey." But after some weeks of this she grew tired of it and told my father that enough was enough and he should stop it. 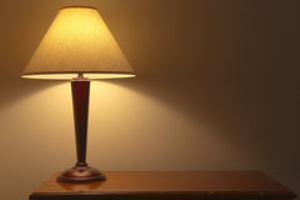 And then, after a few days, the lamp stopped blinking, or should I say my father listened and complied. Which makes the more interesting story? Is it easier for me to believe her version of the story, that my father was behind it all, sort of saying hello I'm still here to her during the first months of her grief, then flickering off in goodbye when she no longer needed that presence? Or should I think more like an electrician and develop a theory about a short in the wire, about the vibrations caused by her footsteps whenever she walked into the room? In Papa Santuzzu, a character claims to turn into a wolf and then later return to human form. Critics would call that magical realism. Later on in the book a character claims to receive a series of seven visions from the Virgin Mary. Is that magical realism? Or is that a miracle and an extension of the character's Roman Catholic beliefs? Where does so-called "realism" end and faith in larger possibilities begin? Wooden: I am curious about what seems to be a prevailing trend: that of weaving separable stories into a unified whole which is then marketed as a "novel." For you, is that an artistic decision or a publishing decision? What is gained (or lost) by seeing Papa Santuzzu and Larabi's Ox as novels instead of short story collections, or should we identify a new subgenre, like a story sequence? Ardizzone: I see Larabi's Ox as an interconnected collection of stories and In the Garden of Papa Santuzzu as a novel made up of interconnected stories. The difference lies in the books' resolutions. Larabi's Ox doesn't end with a story that reunites and resolves all of its disparate conflict and character lines whereas In the Garden of Papa Santuzzu does. As for the form itself, while we can call it a new subgenre it's really as old as fiction itself. Chaucer's Canterbury Tales, Boccaccio's The Decameron, even the New Testament (the life of Jesus Christ as told by Matthew, Mark, Luke, and John)--all can be seen as novels in stories. In American literature we can study Sherwood Anderson's Winesburg, Ohio and many of the novels written by Faulkner. Why might it be so apt or suitable a form today? Well, I think many contemporary writers have come to distrust the central authority in the traditional third-person omniscient narrator. That narrative stance seems like more of a late nineteenth-century or early twentieth-century technique. To paraphrase Yeats, the center no longer holds. So contemporary writers fragment central authority. One way to fragment that authority is to allow the many individual characters in a book to tell a part of the overall story from their own biased perspectives. Another reason is that whereas a single point of view privileges a single character, a fragmented or multiple point of view enables the writer to focus not so much on any one individual but on a community. I see my books in the company of others such as Gloria Naylor's The Women of Brewster Place, Louise Erdrich's Love Medicine, Amy Tan's The Joy Luck Club, Ana Castillo's So Far From God, Julia Alvarez's How the Garcia Girls Lost Their Accents, Maxine Hong Kingston's China Men. I think the form is particularly useful for writers wanting to portray particular place or community. Wooden: You mention Chaucer and Anderson, whose echoes I certainly see in your multiple storytelling devices. I also find (or imagine) dozens of literary echoes throughout your books: the heron in your short story "Ritual" recalls Virginia Woolf's "Monday or Tuesday"; in Papa Santuzzu, even beyond the magical realism, the genealogy might remind one of Faulkner. Who do you claim as your literary influences? Ardizzone: It's hard for me to say who my literary influences are since I think I'm influenced by nearly everything I read. Still, I think Dubliners is among the best books written in the English language, and certainly one of the most influential on my development as a writer. I greatly enjoy teaching Faulkner. James T. Farrell's Studs Lonigan trilogy gave me the confidence to be a Chicago writer, and Pietro di Donato's Christ in Concrete gave me the courage to be an Italian American writer. David Bradley's The Chaneysville Incident is a book that has taught me a great deal. Louise Erdrich's Love Medicine and Maxine Hong Kingston's China Men were a pair of books that I used as models when I wrote In the Garden of Papa Santuzzu. I'd be remiss not to mention Sherwood Anderson. This list could go on and on. Wooden: In Papa Santuzzu particularly, which characters' stories came first? When you write, do you imagine the whole community at once, or are there characters whose stories you most want to tell, letting the others come in primarily to provide context? Do you chart or map the characters' tales in some way, before you write or during the writing process? Ardizzone: I actually started Papa Santuzzu over twenty years ago, as part of an apprenticeship novel I never published. I found myself writing a series of short first-person voice pieces related by the immigrant aunts and uncles in a family. Among the first was Luigi's, who in Papa Santuzzu relates the chapter "The Wolf of Girgenti." I think at the time I realized that the project was bigger than I was and that it would be best if I waited until I was an older and more experienced writer before I tackled it. I came to think of the project as my "Italian book." After I wrote Larabi's Ox I felt I was ready to take it on, and then I just started by working with drafts of one story after another, moving from one member of the family to another, rearranging the stories and changing and developing them as I went along. I wrote Larabi's Ox in a somewhat similar manner. I began with the story "The Beggars," which tells of Peter Corvino's entry into Morocco and his challenging experiences with Rabat's poor. I then wrote "The Unfinished Minaret," in which Henry Goodson meets the Berber guide Ahmed Ousaid, and they come to see their commonality. Then I began work on the story "Larabi's Ox," and suddenly there on the bus that stupidly strikes and kills the ox I found Henry, from the previous story, looking out the windshield. I then had the wild idea to put Peter in an aisle seat, thus connecting the two stories I'd just written. The eye of my imagination looked around the bus for other characters I might explore. I wrote in an older woman, a sort of prefigure to Rosemary Miller, who appears in "Expatriates." And then I imagined the nervous red-haired Sarah Rosen, twisting the long ends of her hair and chain-smoking cigarettes in the bus's back seat. I knew I had a book to write then. Wooden: What new projects do you have in mind, or in the works? Ardizzone: I've recently completed a draft of a novel titled The Whale Chaser. The novel is set in Chicago during the 1960s and in Tofino, a small fishing village on Vancouver Island in British Columbia, Canada, during the 1970s and '80s. Right now it's arranged in alternating chapters between the two settings and time lines, and explores new themes, at least for me, such as work in a fish-cleaning plant, work in the marijuana trade, and work as a whale guide, along with older concerns, such as growing up working class in Chicago. Wooden: What's your secret? Specifically, as you wear the many hats of writer, professor, and administrator, how do you find time, energy, and inspiration to do your creative work? Ardizzone: The truth is, I don't. I often fail miserably. Rather than do all these activities simultaneously, as your question suggests, I tend to do them more seasonally or sequentially. That is, when I'm at my busiest teaching and directing the writing program here at Indiana University I'm often not writing regularly, and when I am the demands of my university job are light. I see my university job as a way of paying for my freedom as a writer. My university job feeds, clothes, and houses me, so I can free myself from having to think about writing fiction that might be marketable. In this way, I function as my own patron. When I'm at my best, I work on my own writing first thing in the day, fresh from sleep, before I check email or attend to any classroom or university business. After a few hours of writing I give myself over to my other responsibilities. I think most writers who teach or administer programs at universities or art centers work in a similar way, and I deeply admire the ones who are able to stay on schedule and write regularly during the entire academic year. Your question about inspiration is harder to answer. I pay attention and I work and wait. I wait and do my best to keep my eyes open to things, to possibilities that might go beyond the immediate page or scene or story or chapter I'm writing. Here I mean I work in search of a larger idea, or an inspiration or ruling metaphor, some organizing, generating principle that I can use to make up the next book. With Larabi's Ox it was the moment when I was writing the third story and I put characters I'd written about in previous stories on the bus. That story became the book's first story, and that story generated the entire rest of the book. Though I like to write in both forms--the short story and the novel--I'm happiest when I'm aware that I'm in the midst of working on a specific book-length project rather than when I'm working at a preliminary stage, scratching out random pieces of things that might, or might not, come together later. I could add that I write stories in much this same way. I seldom write the first scene first. 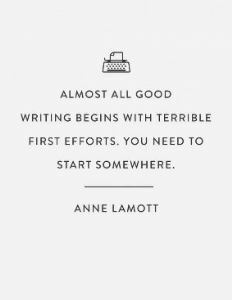 How can I know where it's best for a story to begin until I know the story? So I start somewhere--anywhere--more often than not with some physical detail, and hope the thing doesn't die on me. The ones that die I bury and then move on. The ones that come alive I work on and tease further, expanding descriptions and scenes as I go along, hoping one thing will lead to the next, and with luck after a while I begin to see and understand something greater as the piece opens itself up. Wooden: What advice do you most frequently give your creative writing students or other aspiring writers? Ardizzone: Work. Put in your time. Be patient. Pay attention to things. Write on a schedule. Be kind to yourself but at the same time try not to fall in love with your mistakes. But, above all, work. If writing fiction can be compared to a race, it's one that's nearly always won by the tortoise. Work is advanced word by word. Sentence by sentence. Like all lasting things, it's done best one day at a time.